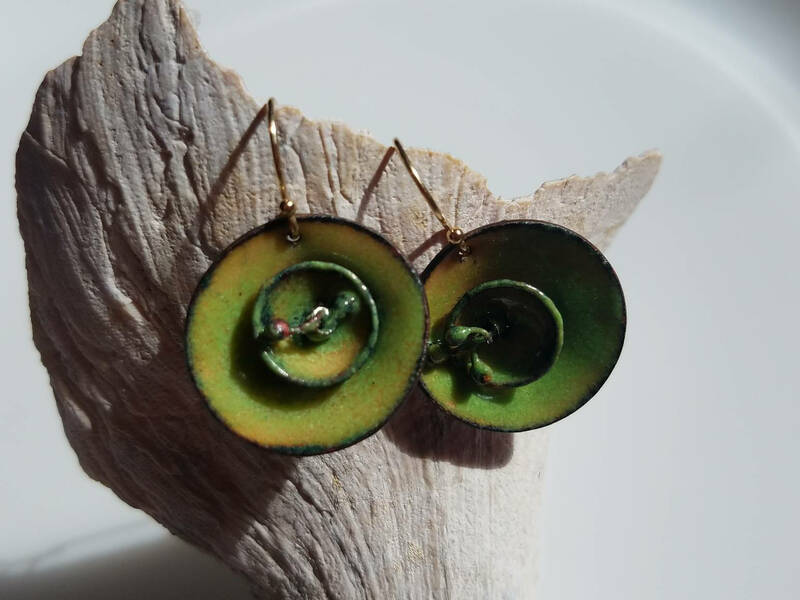 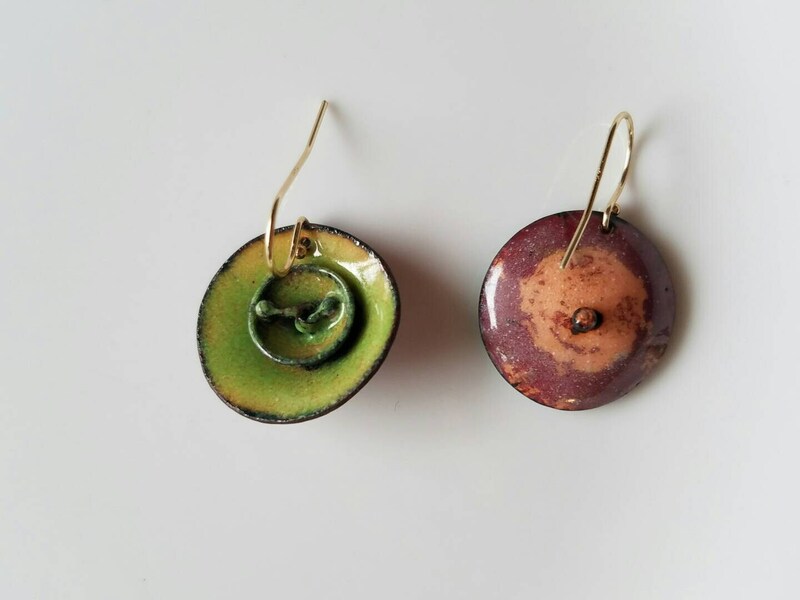 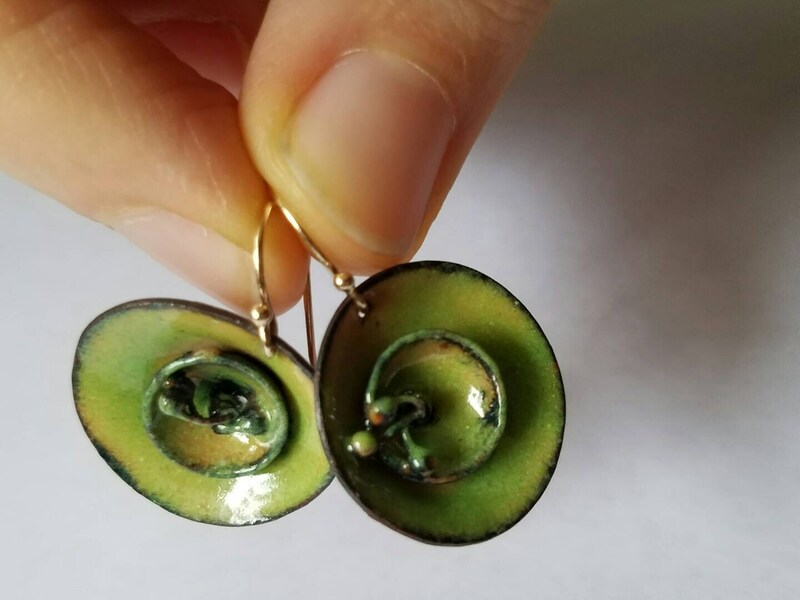 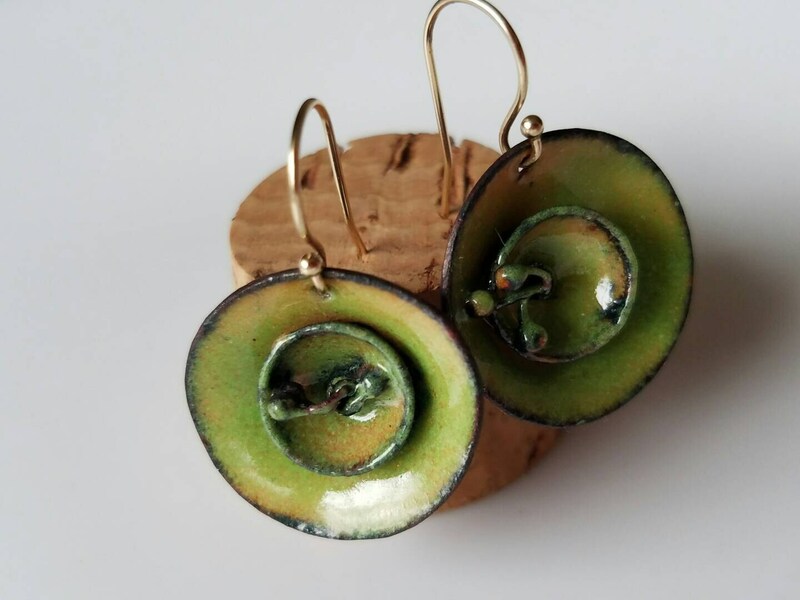 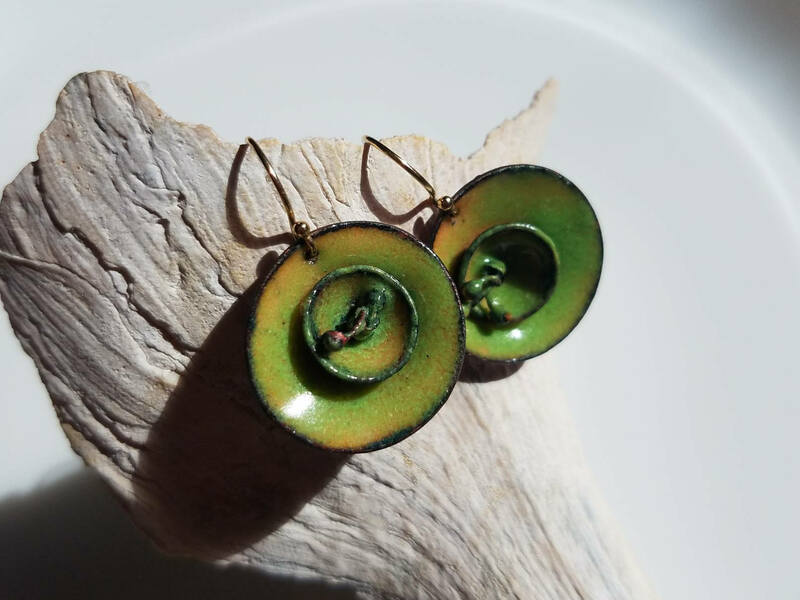 These floral inspired earrings are made of copper discs cut out by hand with unique enamel pattern fired onto each one. 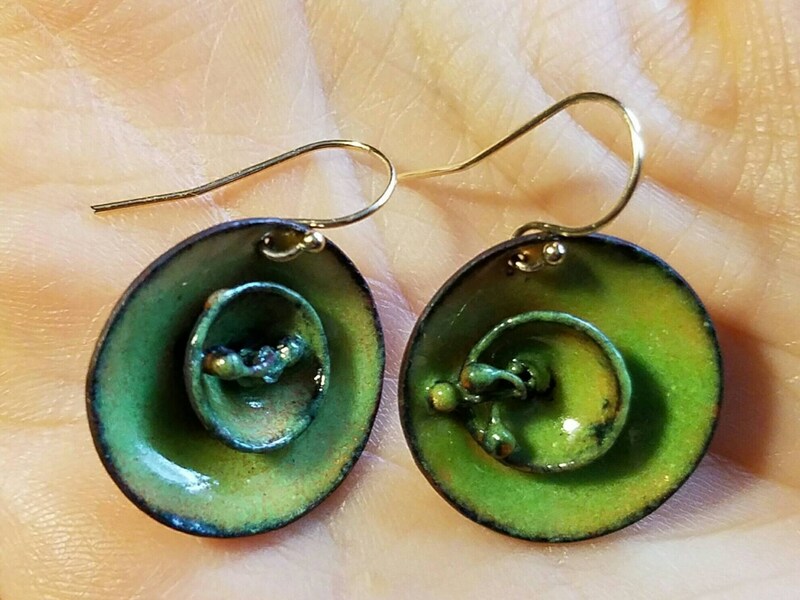 They are each one of a kind, not identical. 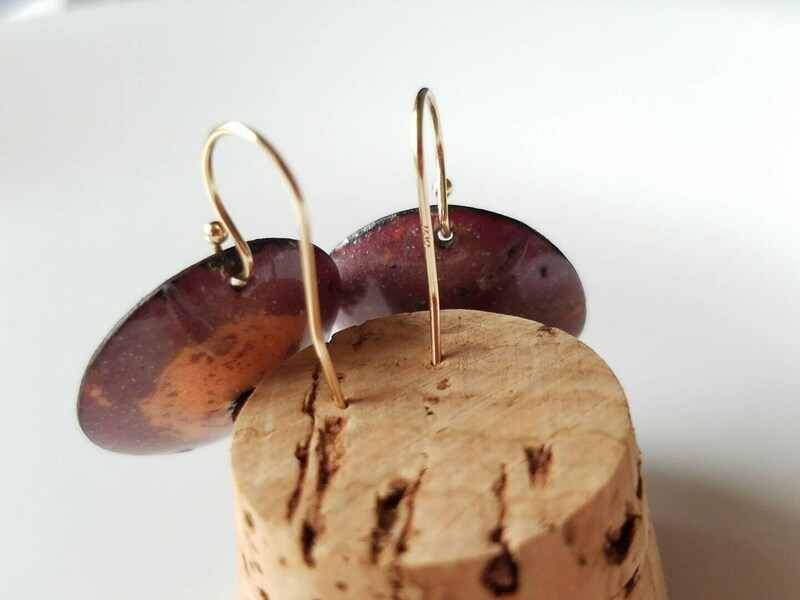 Both hang from 14k gold beaded ear wires and measure approximately 1 inch in diameter.